Yacyreta dam is named as a as a "monument to corruption". It was built without prior consultation of the local population and displaced thousands of them. In 2003, the Heads of State of Argentina and Paraguay jointly decided to finish the mega-infrastructure whose work were done by 2011. Before February 2011 the water level was 76 m (249 ft) above sea level, around 7 m (23 ft) less than planned. This meant that the hydroelectric section of the dam operated at only 60 percent of its capacity. 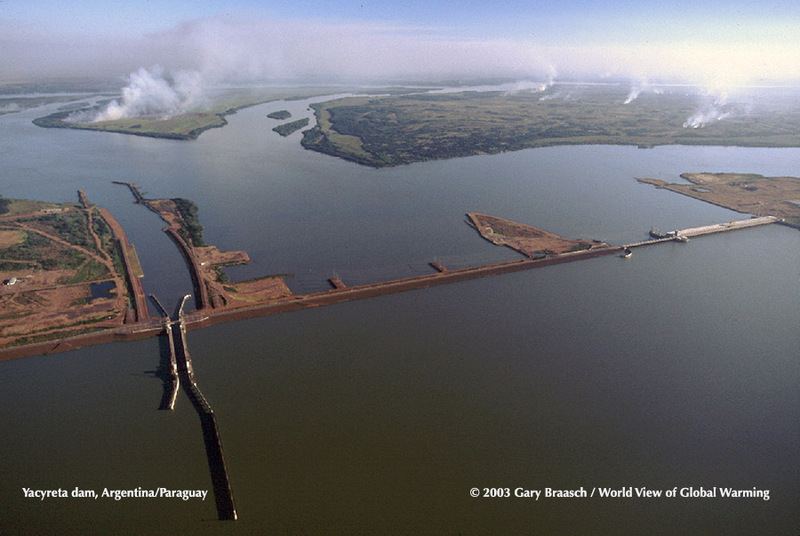 In 2010 and again in 2014 environmental organizations, such as the Union Ambientalistas de Corrientes (Unamco), warned through social medias about the risk for the dam to collapse due to important cracks on it. The authority in charge of the dam, the EBY (Entidad Biacional de Yacyreta), denied twice the warnings. According to the engineer Roberto Rios, environmentalist leader from Unamco, the authorities are ignoring the frightening fact that the cracks on the dam are indeed multiplying. Current plans to increase the height of the reservoir would put another 80,000 people in danger of being flooded out, and even studies by two international finance institutions like the WB and the IADB prove there is poor capacity to cope with that. In 2015 the dam reached a production average of 19.700 gigawatt per hour. Its production is about to be increased with the foreseen future construction of three new turbines. Why? Explain briefly. 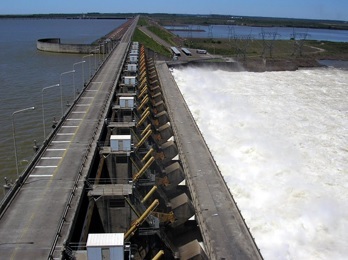 The dam was built and there is a new plan to increase its electricity production capacity. The affected communities want compensation, and no further flooding. There is also a strong debate in Paraguay in 2012 on the proposed Rio Tinto smelter (that would consume much electricity at a cheap tariff). La lucha campesina 1990-2004. Pilz, Dania; Quintin, Riquelme; Rodriguez, Mirtha; Villalba, Roberto. Centro de documentacion y estudios. 2004. Represas.